So did every one get their swag of goodies for competing at the Champs back in May? Any one not get theirs? Sorry for the delay, turns out half the packages have been sitting in a box in the warehouse here. They were meant to be picked up with the others by the postie but somehow got filed away. Expect 'em in the next few days! Mark, Damn, must've forgot to swap the yoyos round. That's quite an upset emoticon. Are you really that cut? Skip, nah I took the 401 out. I've become accustomed to the battle scar. 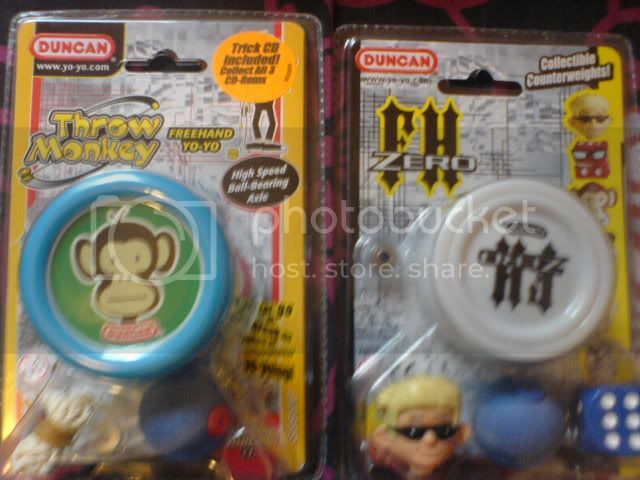 I was just really looking forward to a flying squirrel coz i already have a throw monkey (same colour aswell).. and im not a huge throw monkey fan anyway so i havent even opened the new one yet. Three times the excitement huh? Nice looking pack there. Thanx heaps guys! I got myself a squireel (oh yeaH) and a throwmonkey also. 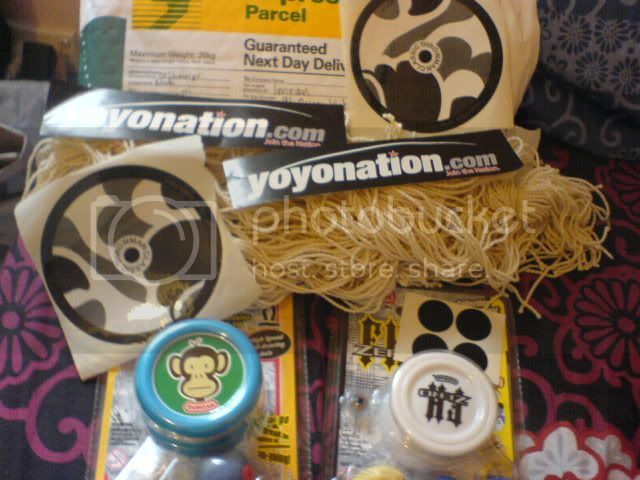 Bunch of duncan friction stickers (yep imran they r duncans) yyn and throwman classic stickers and 100 white cottons, thanx fellaz and sponcers!